There’s been a lot of talk about whether Will from Stranger Things is gay, largely because bullies on the show call him homophobic slurs, which admittedly seems like a weird way to code a character. Will’s sexual identity hasn’t been explored in the series, and the actor says he wants to keep it that way. 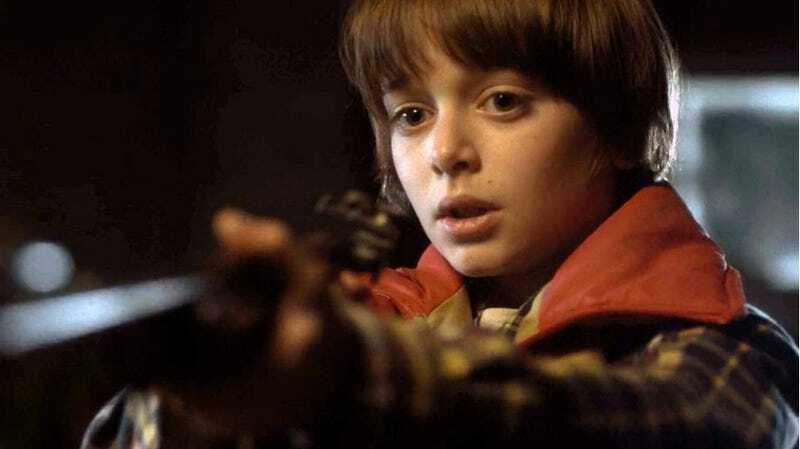 Noah Schnapp, who plays Will on Stranger Things, took to Instagram on Sunday to address the ongoing conversation about his character’s sexuality, giving us a thoughtful and pragmatic response. Basically, he said his character shouldn’t be stereotyped into a sexual orientation, and that he’d rather have fans, including those in the LGBT community, interpret the situation for themselves. For me, Will being gay or not is besides the point. Stranger Things is a show about a bunch of kids who are outsiders and find each other because they have been bullied in some way or are different. Does being sensitive, or a loner, or a teenager who likes photography, or a girl with red hair and big glasses, make you gay? I’m only 12 but I do know we all relate to being different. And that’s why I think the Duffers wrote the show the way they did. So you can ask all these questions. I hope the real answer never comes out! I partly agree with Schnapp’s sentiment, especially because his character is still technically a child. There’s no reason to conform characters into expected roles, especially based on stereotypes. He’s sensitive and people call him homophobic slurs, so the show should make him gay? That implies homosexuality is something people can or should detect. A positive contrast I would make is Mitch Downe from ParaNorman, a character who’s revealed to be gay by the end of the film, but it’s not something coded into his personality based on stereotypes. He’s gay because he prefers dating men, not because he’s sensitive or the like. That said, gender identity and sexual orientation is something people discover at a variety of ages, including as children, so having diverse characters people of all ages can identify with is important. Plus, there’s also the issue of homophobia, which is a constant presence in the first season of Stranger Things. If the show wants to include so many negative slurs about the LGBT community, it seems rather cruel to not give them a voice or representation. In the end, it’s a complex situation, and I think Schnapp handled it very well. Gives me hope for the future. He knows his character isn’t defined by who he prefers to kiss, but by how many slugs will come out of his body by the end of Season 2. Seriously, can we focus on the fact that he’s now a giant slug host? Note: I’ve received feedback that this post doesn’t take into account that perceived straight characters, like Mike, are allowed to explore their sexuality without issue, and that my words can be interpreted as justifying exclusion of LGBT characters. While not my intention, this is a fair criticism, and I apologize for the oversight.